Ruth Mattson, a partner, concentrates in the areas of international and multinational estate planning, multinational estate administration, sophisticated estate and business planning, local estate and trust administration, and tax compliance for individuals with assets outside the United States. Ruth engages in comprehensive planning with each client. She reviews each client’s goals, family and financial circumstances, and recommends a plan to meet the client’s objectives. Once the estate planning documents are executed, Ruth continues to work with the client to implement the plan. For international matters, Ruth plans for non-citizen spouses and couples with multiple citizenships, including Qualified Domestic Trusts (QDOTs), gifting strategies, and analysis of the tax costs and benefits of citizenship and expatriation. She also advises clients regarding foreign property that clients currently own or expect to receive, and regarding foreign informational reporting and tax compliance for those assets. Ruth is a lecturer at Boston University School of Law’s Graduate Tax Program and frequently speaks on topics related to estate planning and U.S. taxation. 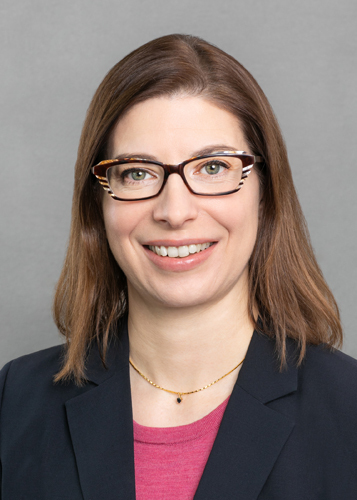 She is a member of the Boston Estate Planning Council, the Society for Trusts and Estates Practitioners, and other estate planning and tax organizations. Ruth is admitted to practice law in Massachusetts and Pennsylvania. She is a graduate of Boston University School of Law (LL.M. in Taxation, 2008) and Temple University Beasley School of Law (J.D., 2005).